Quality performance is packed in the Apollo ear buds. 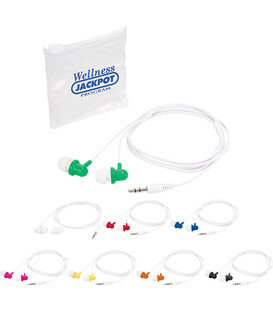 Comes in a convenient carrying pouch for easy transportation and storage of your ear buds. Talk on the phone hands free by using the integrated microphone on the cable. Use with any standard audio device. 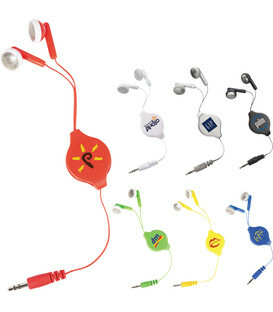 Classic design, on-ear headphones. 3.5mm audio jack, 47-1/2 inch cable. Media device not included. 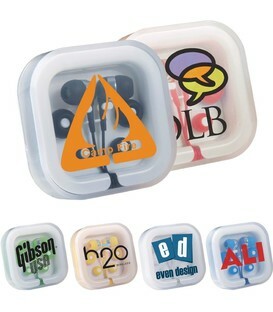 Budget Blast earbuds come in a plastic reusable storage case. Use with any standard audio device. 3.5mm audio jack and 120cm/47in earbud cable. Lightweight Bluetooth® earbuds with an internal rechargeable battery that provides up to 2 hours of nonstop music at max volume. 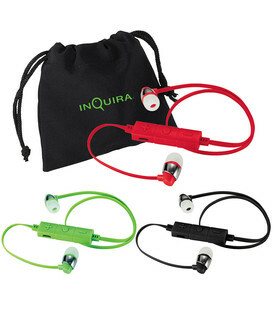 The earbuds Feature a built in music control and mic. Micro charging cable included. Media device not included. A Vintage looking portable Bluetooth® speaker with an internal rechargeable battery that provides a playback time of up to 3 hours. Micro charging cable included. Media device not included. Bluetooth® working range is 10 meters (33 feet). Use with any standard audio device. 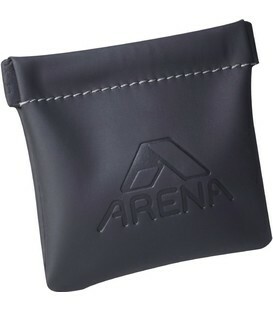 The plastic case offers a trendy storage option. 3.5mm audio jack and 46-inch earbuds cable. Media device not included. Use with any standard audio device. 3.5mm audio jack and extra long earbud cable. Case doubles as a earbuds holder. Media device not included. 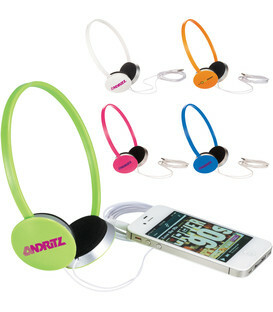 Pop your next promotion with these color dipped ear buds. The 3.5mm audio jack connects to just about anything that can play music. 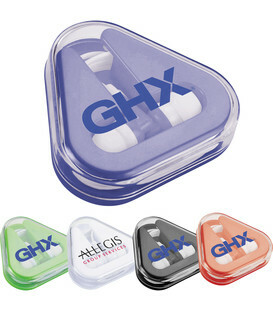 Convenient plastic travel case allows you to take these ear buds with you wherever you go. Use with any standard audio device. 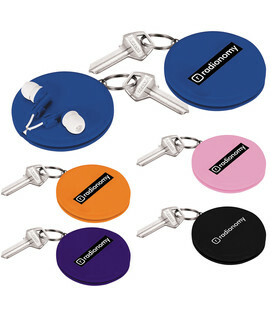 Includes three interchangeable soft rubber earbud covers. 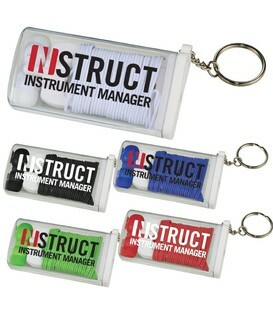 Plastic case with cable storage. Standard 3.5mm audio jack, 38-inch earbud cable. Media device not included. 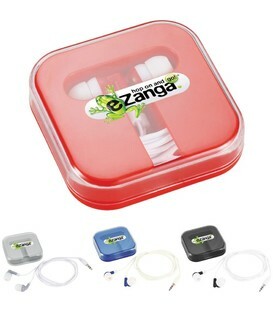 Deluxe earbud set includes a built-in cable microphone that allows you to go hands free with your media device. Easily answer or end a call with single button on the microphone. 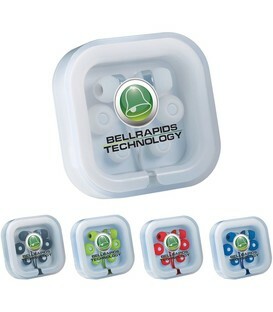 Set also provides three interchangeable soft rubber earbud covers. Plastic case with cable storage. Standard 3.5mm audio jack, 38-inch earbud cable. Media device not included. The Command earbuds includes a built-in microphone and volume slide that allows you to go hands free with your media device.  Easily answer or end a call with single button on the microphone. Use volume slider to adjust the music volume. 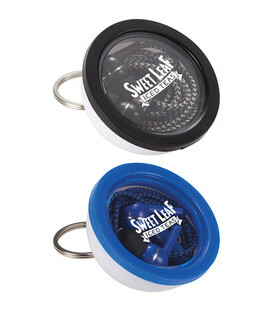 Plastic case with carabiner for cable storage and easy carry-on. 47-inch earbuds cable. Media device not included. 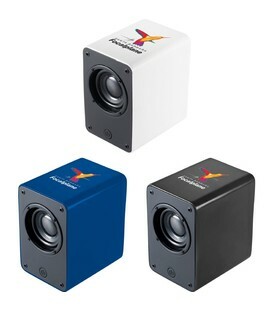 Lightweight Bluetooth® speaker with an internal rechargeable battery that provides up to 2 hours of nonstop music. 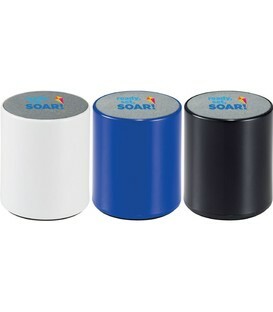 Micro-fiber cloth surface on top of the speaker for cleaning touch screen devices. Micro charging cable included. Media device not included. Bluetooth® working range is 10 meters (33 feet). Use with any standard audio device. 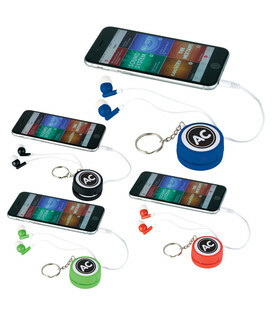 Silicone case as earbuds storage and microcloth screen cleaner for touchscreen devices. 3.5 mm audio jack and 43-inch earbuds cable. Use with any standard audio device. 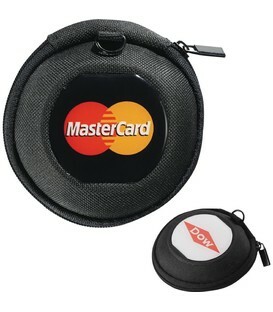 Triangle-shaped plastic case with cable storage. 3.5mm audio jack and 46-inch earbud cable. Media device not included. Use with any standard audio device. 3.5mm audio jack. 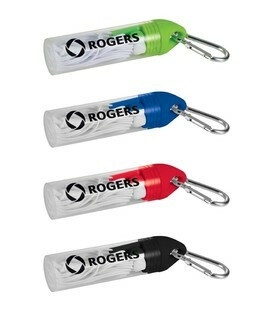 36 inch retractable cord. Media device not included. Use with any standard audio device. 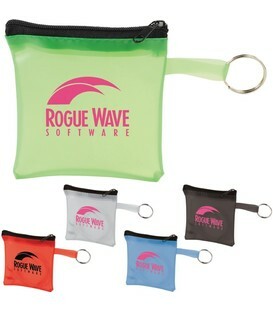 Includes pouch with zippered closure. Standard 3.5mm audio jack. 50-inch earbuds cord. 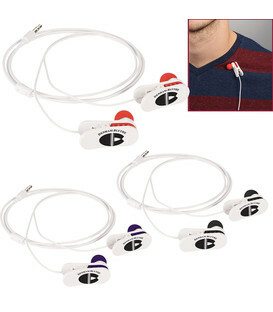 Earbuds packed separately. Media device not included. This foldable silicone VR headset allows you to discover virtually reality. 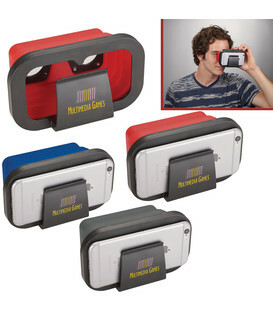 Clip to your smartphone and launch a VR app to dive into a virtual world in just a few seconds. You can enjoy 3D videos, VR games, 3D movies and much more! It is compatible with most smartphones with a 4-5 inch screen.